This chapter is primarily autobiographical in nature. 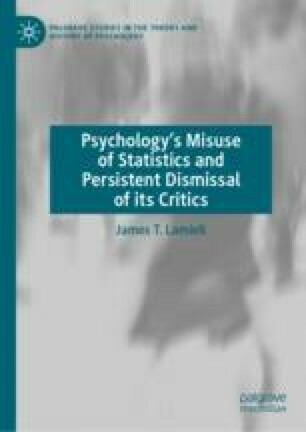 It begins with a discussion of certain early-career teaching experiences which inspired the author’s critique of the practices that have long been widely accepted among mainstream research psychologists for interpreting the results of population-level statistical analyses. The discussion then moves to an overview of publications stemming from the 1980s in which various facets of the critique and accompanying ideas were elaborated. The last major section of the chapter treats of the reception of the critique among defenders and devoted practitioners of the mainstream interpretive practices challenged by the critique.